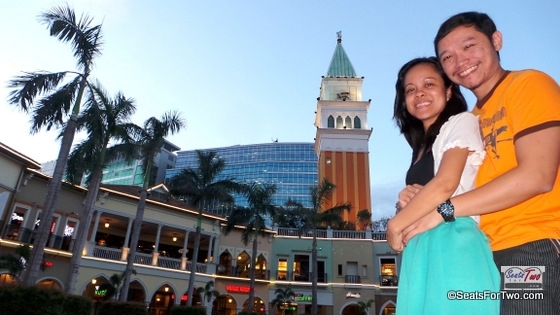 It’s the second round of our “Movie For Two“! And this time, for the “War of the Planet of the Apes” movie block screening at Powerplant Mall on July 11, 2017! We just watched Spider-Man Homecoming earlier today at Century City Mall with our winner Mr. Jeffrey Imutan and his partner! Thank you to the organizer Aboitiz and Weather Philippines for inviting Seats For Two + 2! Good News! 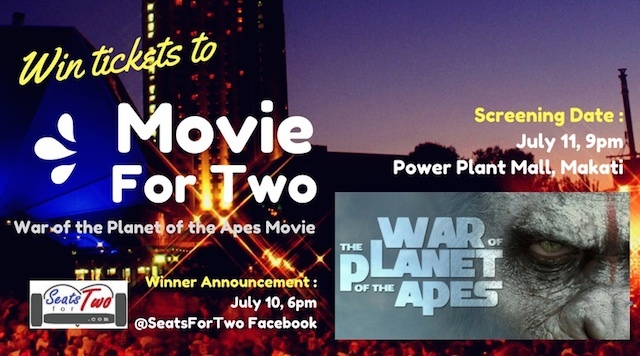 We’re giving away another pair of free movie tickets to one winner for the “War of the Planet of the Apes” movie block screening at Powerplant Mall, Rockwell, Makati City on July 11, 2017 – 9pm! This one’s organized by Mossimo to celebrate the launch of their exclusive collaboration collection. Subscribe to our blog and follow us Seats For Two Facebook Page, Twitter, and Instagram! Tag the friend you’re bringing, our Facebook Page Seats For Two, and use the hashtags #SeatsForTwo and #MovieForTwo in the status! We’ll choose one (1) winner to receive the pair of tickets and announce it on July 10 @ 6pm on our Facebook Page (Movie For Two). Be in the loop for more promos and couple contests by Seats For Two by subscribing to our blog through email and liking the Seats For Two Facebook Page. Follow us on Twitter and Instagram @SeatsForTwo! Join our Movie For Two – “War of the Planet of the Apes” Movie Tickets Giveaway and we hope to see you soon at Powerplant Mall on Tuesday for additional surprises!